We believe that women govern differently, focus on different causes, and devise different solutions than men; we need more women in office. Join BWU at upcoming events (details TBA on the Events page) to meet the women who are running for office in the Baltimore area. We will help fund-raise, phone bank, and canvass in support of the women who meet our endorsement criteria. 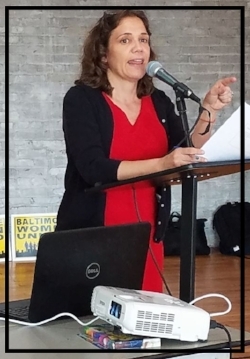 Lean more about the Baltimore Women United for Action political action committee (PAC). Consider running for office yourself. Emerge Maryland has already helped prepare dozens of women, including several BWU members, for their own races.